Reconstruction of a dog bite incident by an animal behavior expert may be beneficial in those lawsuits in which the plaintiff and defense dispute how the incident happened. 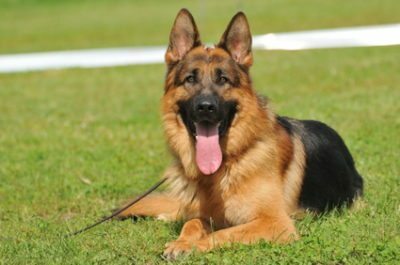 Below, a California dog bite lawsuit is described in which the plaintiff, a UPS driver, was attacked by the defendant’s five-year-old German Shepherd, named Lucy. The principal issue in need of clarification was if the plaintiff entered the property in a reckless fashion. The plaintiff’s alleges that she took the appropriate actions before entering the defendant’s property prior to making her delivery. In contrast, the defense believed that the plaintiff acted hastily and did not act in a manner to ensure her safety. The incident happened in the late afternoon in June, 2012. At the time of the plaintiff’s arrival, the defendant was in her garden approximately 90 feet away from the front gate with Lucy nearby. The front gate was not visible from this location. Hanging on the fence next to the front gate, was a “Beware of Dog” warning sign. The plaintiff denies that she saw this sign, however. The plaintiff testified that she parked her truck in front of the defendant’s property and approached the closed front gate with the envelope in her hand. She alleges that did not enter the property through the gate at this time, however. She testified that she heard the defendant talking some distance away. In order to make her presence known, she shouted “UPS delivery”. The defendant did not respond, and then according to the plaintiff, she threw the envelope that needed delivery over the gate, but the wind blew it back into her hand. She then again called out “UPS delivery”, several times and she rattled the gate, and she jingled her keys in an attempt to make her presence known. The defendant did not respond nor did she see any dog. She then opened the gate and entered the front yard and tossed the envelope on the front porch. She turned to exit, but unexpectedly the defendant’s German Shepherd was now in her proximity. Immediately thereafter She was then attacked by Lucy and she sustained serious dog bite injury to her left thigh and calf. The plaintiff heard the commotion and arrived on the scene and pulled Lucy from plaintiff. The plaintiff testified that approximately 40-60 seconds elapsed from the time when she first made her presence known (that is, by shouting “UPS delivery”, etc.) to when she was confronted by Lucy. The defense questioned the plaintiff’s version of events. Rather, the defense believed the plaintiff entered the property without properly checking for the presence of a dog. The defense believed that the plaintiff should have known that a dog was present on the property because of the “Beware of Dog” sign next to the gate. 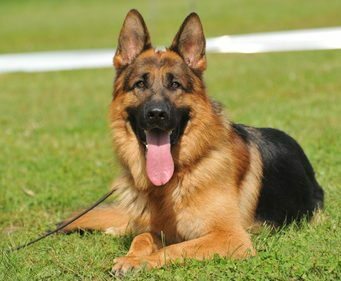 Moreover, the defense believed that given the strong territorial nature of this German Shepherd, if she had called out “UPS delivery”, rattled the gate and jingled her keys, then she should have been confronted by Lucy shortly thereafter and much sooner than the 40-60 seconds she testified it took the dog to reach her from a distance of approximately 90 feet. The defense argued that the presence of the dog should have given her ample notice of the danger present on the property. 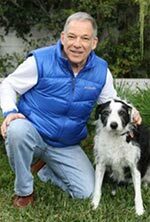 The defense acknowledged liability, under California’s strict liability for dog bites, but sought to mitigate monetary damages to the plaintiff because of her comparative fault. Reconstruction of this dog bite incident involved determining how long it would take Lucy would react to a stranger who made their presence known at the front gate. Specifically, reconstruction sought to determine Lucy’s reactivity to hearing someone calling out “UPS delivery”, rattling the gate, and jingling keys. How long would it take Lucy to reach the front gate after hearing these stimuli? Behavioral reconstruction consisted of having the defendant position herself exactly where she was on the day of the incident with Lucy in her proximity and re-creating the plaintiff’s actions. Three behavioral tests were conducted. Testing began when Lucy was calm and settled near the defendant in the garden. Between tests, Lucy was temporarily removed from the garden and brought back several minutes later for the next test. The first test consisted having the evaluator (this author who serve as the animal behavior expert in this case) next to the front gate and yelling “UPS delivery” approximately 5 times. The second test consisted of having the evaluator rattling the gate for approximately 10-15 seconds. The third test consisted of jingling keys for approximately 10-15 seconds. These stimuli were specifically chosen because they were the cues that the plaintiff said she used to make the defendant aware of her presence at the front gate. The attempt was made to reconstruct the situation as closely as possible. To reach the gate, Lucy had to run through bushes on one side of the property, or alternatively move to her right and go and traversed down a cement pathway. Each route was approximately 90 feet from the gate. At the conclusion of the third test, the evaluator entered owner’s home and sat in the living room in the presence of both defendants. Lucy entered the living room, approached the evaluator in a curious manner to investigate, and then she walked away and settled a short distance away in the hallway. This was in marked contrast to her aggressive reactivity earlier when she encountered the evaluator at the front gate. The defendants fully acknowledged that Lucy was very protective of her territory, but yet accepting and friendly to people invited into the home. The owners noted that Lucy had never bitten a person prior to the incident with the plaintiff. They had never received any complaints about her, and they had taken Lucy through obedience school. It appeared that Lucy was a typical well-bred German Shepherd dog. Namely, protective of her territory, accepting of strangers invited into the home, and exceptionally loyal to her owners. The results show faster response times with the more readily detectable stimuli. Lucy’s response time to reach the gate was fastest with the shouting, and faster with the gate rattling when compared with rattling keys. Her slowest response time to reach the gate and act aggressively was about 20 seconds. These results show that the the plaintiff’s testimony was inconsistent with the time it should have taken Lucy to reach the front of the house from 90 feet away had she shouted “UPS delivery”, or rattled the gate, or jingled her keys before opening the gate to enter the property. Had she done this, Lucy should have reached the front of the house much sooner than 40-60 seconds. Rather, behavioral testing showed that had the plaintiff used these stimuli to make her presence known then Lucy should have reached the front of the house within 20 seconds, therefore giving plaintiff ample warning about the danger of entering the property to make her delivery. The results of the behavioral testing are more consistent with the plaintiff entering the property by simply opening the gate, and not acting in the way she said she did to make her presence known to the defendant. Given the above, settlement was reached between the parties. The amount of compensation the plaintiff received for her injuries was reduced relative to what they initially demanded. The settlement amount was not disclosed to this writer.